You sure ? 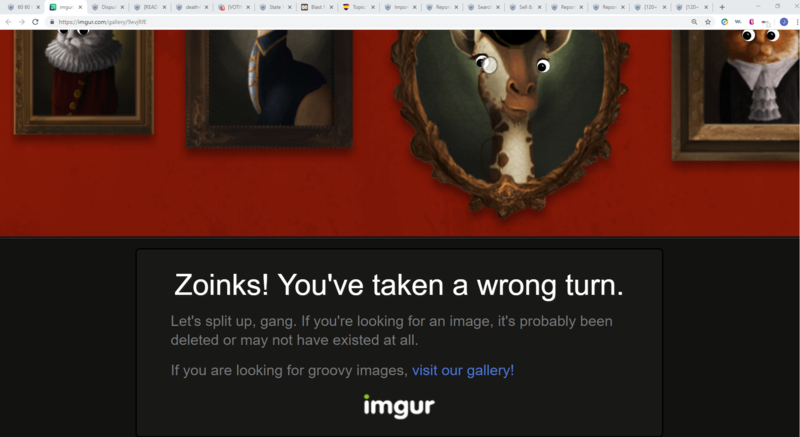 I just logged out of imgur and still can see the image through that link, it's strange ! Yep your right i tried with a different browser very weird though it did work. But please reread the sticky, you need to include the ban meter, thanks! Sure no problem. The thing is, as it doesn't have an email linked, I'm not able to enter the account settings page. I specified that it didn't have any kind of offense. Isn't that enough ? I don't know how can I help with that.